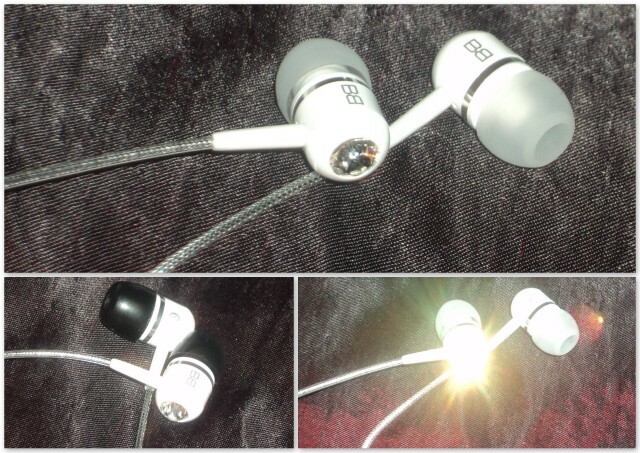 Where Roots And Wings Entwine: BassBuds headphones review. When I was offered the opportunity to review a pair of BassBuds headphones I wanted to learn more about them, after browsing their website I was very impressed with the amazing features BassBuds boast about their headphones. As I loved the sound of the headphones and could not resist the hint of sparkle on the ear buds I was keen to see if they lived up to the features boasted on the BassBuds website and if they would sparkle in person. The BassBuds box is strong and sturdy and it is an ideal alternative to the travel bag for storing the BassBuds’ accessories in when not in use, especially suitable for safekeeping accessories that are not needed on a daily basis. The small velvet protective travel bag is the perfect size for storing the headphones and a few accessories when not in use. The velvet storage pouch is great for keeping the headphones safe, helping to prevent losing them and the pouch fits perfectly in a pocket or bag; allowing you to easily find the headphones when needed and protecting them from being damaged. 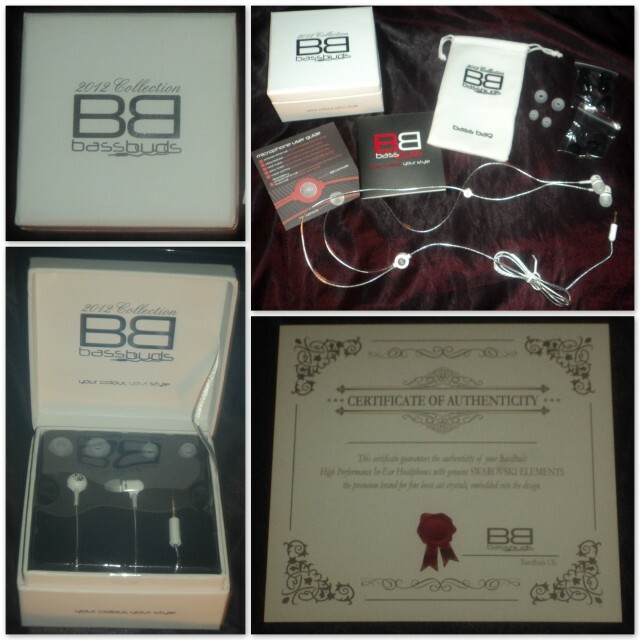 We were sent a pair of BassBuds headphones in limited edition white and I instantly loved the look of the headphones. They are a silky, bright white colour with sparkly Swarovski elements crystals embedded on the outside of each ear bud which twinkle magnificently and look stunning. The headphones are beautifully made using high quality materials, housed in precision-cut, high quality aluminium. Even though the headphones look small and delicate and are extremely lightweight they are very strong and durable. The BassBuds have been made with a gold plated 3.5mm jack, which provides prime connectivity. The headphones have a tangle free cord that looks very well made using high quality materials and it feels strong and durable, in fact BassBuds have created the headphones using a cable that is ‘superior strength’ and ‘double reinforced’. Unlike other headphone cables even the cable on the BassBuds headphones is not plain and boring as it has an interesting textured appearance. Both Lee and I were doubtful that the cable would be truly anti-tangle but after heavy use we can both attest to the fact they have not tangled once. 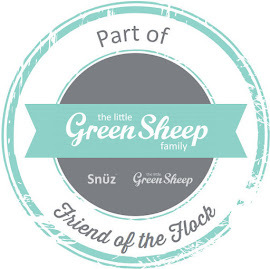 We both love the fact that the cable is truly anti-tangle as it saves the inevitable issue of having to spend ages detangling headphone cables for use that usually happens with other headphone cables. We were both impressed that generously the headphones come with 9 sets of ear buds; black, white and memory foam, all available in 3 sizes. 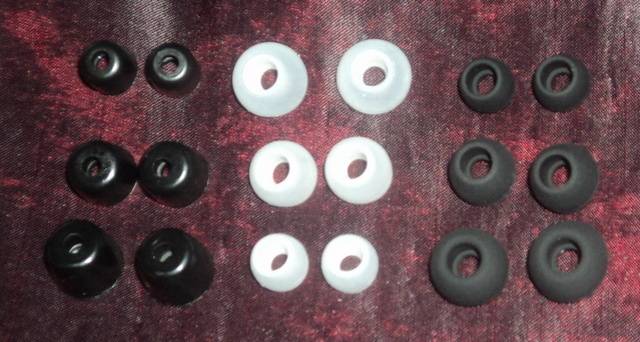 Thanks to the impressive range of different sized ear buds provided and the choice of either memory foam or silicone buds a perfect, comfortable fit can be achieved for any ear size. The large range of ear buds has enabled both Lee and I to find a great fit and neither of us have found that our ears hurt even after a long time using the headphones. I think the ear buds feel very comfortable, fitting nicely in place and unlike with other headphones they do not drop out of my ears. From when I first saw the headphones I was very impressed with how beautiful they look, being dazzled with the hint of sparkle emanating from the Swarovski crystals on the ear buds but I was keen to see if when put to the performance test they would still impress. Once I had found the perfect ear bud for my ears I plugged the headphones into my phone and selected my favourite songs to listen to, hoping the headphones sound quality would be as remarkable as their appearance. Instantly I noticed how crystal clear the sound was and that the headphones appear to have a noise cancelling feature as I could not hear external interference, only my favourite songs. Even though I love my music, Lee has a keener musical ear than me and as he is a huge fan of music he could not wait to get his hands on the headphones to test them out. Lee says that not only do the headphones have a crystal look they also have a crystal sound. He was highly impressed with the crystal clear sound that emanates from the headphones which has always been free from any distortion. He has listened to an array of music of all genres and all music has sounded amazing and crystal clear. As well as providing impressive crystal clear sound the headphones also provide an amazing crisp, balanced treble and a deep bass sound. Lee loves the noise cancelling feature and thinks it is brilliant that he can immerse himself in music without external interference; which he cheekily says is particularly useful for cancelling out my moaning and replacing it with enjoyable music instead. Lee is impressed with how powerful the little headphones are and loves how loud the headphones can blast music out without affecting the crystal clear sound. After testing them out Lee was very impressed, so impressed that he has stolen taken them from me and claimed them as his own! The headphones feature an MP3 controller that allows you to control the music; by pressing the controller in different sequences you can, pause a track, stop a track, play a track, skip a track etc. 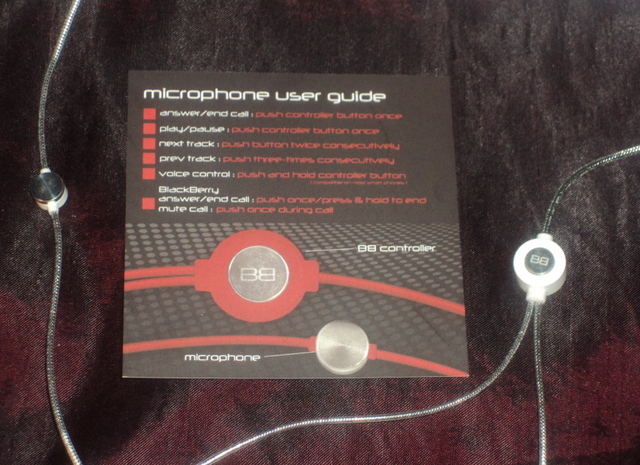 The sequence options for the controller are clearly listed in the microphone user guide and it is easy to remember the sequences. The MP3 controller is easy to use and it is a useful feature to have. Not only do the headphones allow you to listen to music with crystal clear sound but you can also use the headphones to make and receive calls hands-free. The headphones feature an integrated microphone and the MP3 controller has a dual feature of being used as a Call controller, allowing you to answer and end calls at the touch of a button. We have not used the headphones for many calls but it useful to have the feature to do so and when we have made and received calls using the headphones the calls have been as clear as when we use our phones directly for calls. 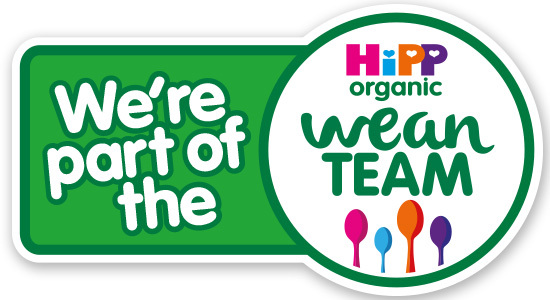 The headphones work with both mine and Lee’s phones as they are compatible with all Smart Phones, allowing us to make and receive calls as well as listen to music from our phones and our MP3 player. Both Lee and I love these headphones and it has been a little war over who has them; unfortunately Lee seems to have won as he is so impressed by them he put a mighty fight but if we had received a pair in the beautiful purple or pink colour I would have insisted on keeping them for myself. I think the headphones are the perfect balance of style and high performance sound. I love that the headphones are strikingly gorgeous and that the sparkly fine cut genuine Swarovski crystal is eye-catching. Even though the headphones are very fashionable and glamorous the quality and performance has not been compromised as the headphones are extremely well-made and the crystal tonics high performance sound technology is outstanding. The amazing quality, affordable BassBuds headphones are available in a vast range of different styles and colours with over 20 choices on offer, all featuring sparkling Swarovski crystals. The headphones are perfect for music lovers and with a rainbow of colours available there is a style for everyone. The BassBuds headphones are available in two collections; the Classic collection features a single solid colour and the Fashion collection features a wide range of colour variants with contrasting colours on the buds and cables. The BassBuds headphones have an RRP of £49.95 but are currently priced at an even better price of £34.95 on their online shop which is a brilliant price for high quality headphones and they are worth every penny. 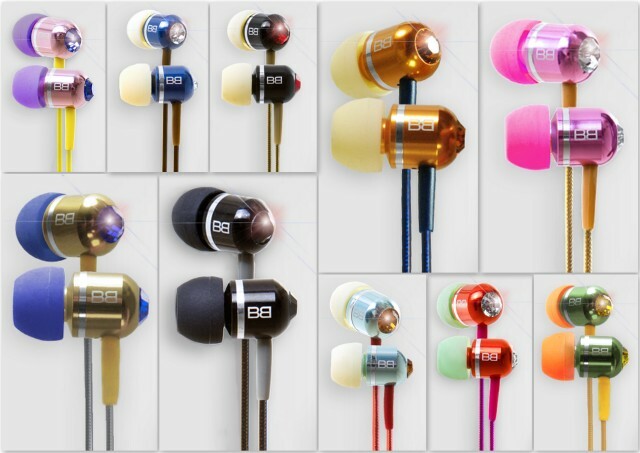 On the BassBuds website you can purchase additional ear buds at a great, affordable price. 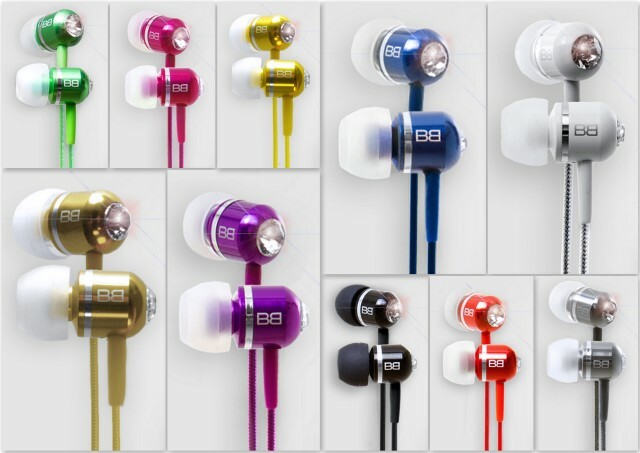 Another product created by BassBuds which looks amazing is the BassBoomz. 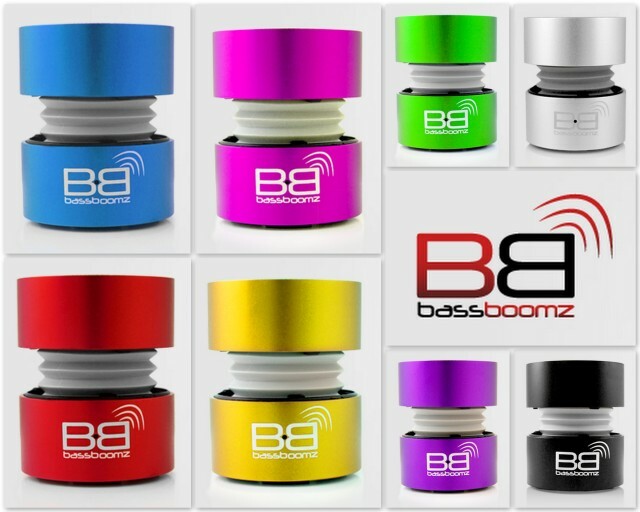 BassBoomz are high performace portable blue tooth speakers which can be purchased on the BassBuds website for £79.95 and are available in a range of colours. Lee loves the look of the BassBoomz and is hoping I will be generous and buy him one.